Your Dream home is right here. 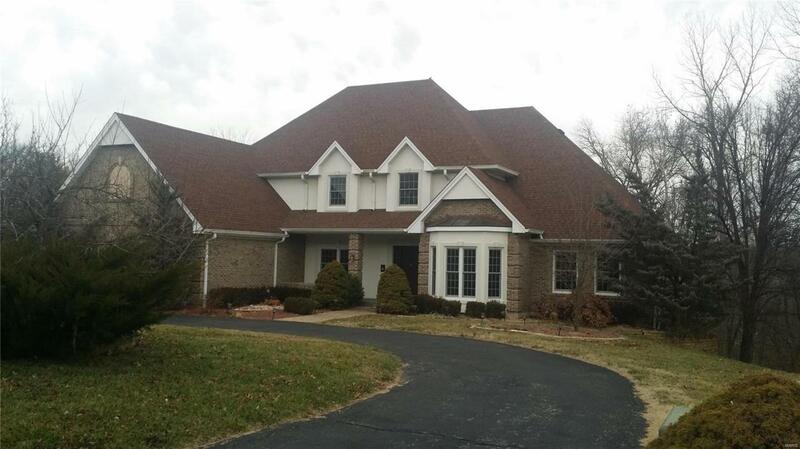 This 5 bed, 4.5 bath is situated on a private 1/2 acre lot. Right through the front door you will be stunned with the 2 story foyer & living room with masonry fireplace from floor to ceiling and surrounded w/ iron-spindled railing and wet bar. Kitchen offers stainless appliances, granite tops w/ tiled back splash, & 4 seasons room with built in benches. Main level also has master suite with his & her closets & luxury master bath, and also spacious dining, laundry, study, and guest restroom. You may enjoy your private composite deck off the master or the deck off the sunroom. Upstairs you will find 4 add'tl BR's, (1 w/ its own bath) & hall bath. Walk out basement features family room w/ add'tl fireplace, bath, bonus room & PLENTY of storage plus a 1 car garage bay (17x26) for your lawn moving tractor. On a cul-de-sac w/ a circled drive & side entry 3 car garage. There is really too many amenities to list, you have to see this home today! Listing provided courtesy of Extreme Homes Of St Louis. Listing information © 2019 Mid America Regional Information Systems, Inc.